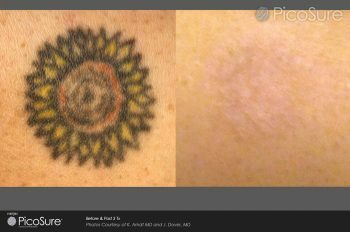 How a tattoo machine works – These days, a lot of people have tattoos – you may even have one or two. But how much do you know about how the actual process works? Tattoos are created by injecting ink into the skin, between layers. It’s done with an electric machine that looks and sounds rather like a dental drill (although, in our opinion, the dentist’s chair is way scarier than the tattoo chair). The machine’s needles puncture the skin really, really fast – anywhere between 50 and 3000 times a minute) and deposit a teeny bit of ink about a millimetre under the skin each time. It’s pretty damn accurate. The tattoo machine as we know it now was invented by Samuel O’Reilly in the late 1800s and has remained pretty much the same since then. The machine is actually based on something called an autographic printer, invented by Thomas Edison to engrave hard surfaces; a quick change to the tube system and something called the ‘rotary-driven electromagnetic oscillating unit’ and ta-da! One tattoo machine. What is a tattoo machine even made of? Of course, tattooing equipment hasn’t always been quite so high-tech. Back in the day, picks, rakes, combs and chisels were used to cut or puncture the skin before pigments were added. Some Arctic and sub-Arctic tribes even created inkages by pulling a thread coated with soot through the skin. Bet the tattoo machine doesn’t seem so scary now, does it?